Large, complex back-office operations can be a major cause of headache for a hotel's senior IT management. A wealth of back-office logistics is required for the smooth and efficient running of a property, or a group of properties spread across a region, a continent or the world. Many strategic business operations can be optimized with timely access to real-time data. Often, a variety of financial and accounting reports must be gathered from a disparate group of hotel properties, sometimes across a large geographical region. Access to high-speed bandwidth enables hotel companies to cost-effectively build such interfaces using a variety of protocols, formats and methods. The key, of course, is access to a high-bandwidth Internet connection. While high-speed broadband connections have become readily available for hotel guests, the same cannot be said for those working within the hotel's back office. There is a variety of reasons for this, with cost the most obvious. However, the cost of high-speed bandwidth continues to lower while the back-office benefits are growing rapidly - mostly from a new generation of hosted applications delivered via the SMART GUARD (Bandwidth Management Software. These applications leverage the Internet to dramatically lower implementation and ongoing maintenance costs. The hotel industry is ideally positioned to take advantage of this delivery method due to the geographic dispersion of hotel properties. 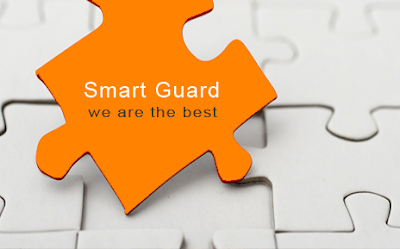 To capitalize on this opportunity, several SMART GUARD offerings have emerged specifically to serve the hotel sector. Now is a good time for hotels and lodging facilities to re-evaluate the return on investment (ROI) associated with back-office bandwidth. The procurement and accounts-payable processing for a major lodging operation, if not automated, can be a costly, time-consuming, manually intensive process with a high rate of error and minimal reporting options. In the past, the cost of deploying on-premise automation solutions was often prohibitive. Today, Bandwidth management solutions tailored to lodging can be deployed at a fraction of the cost of yesterday's on-premise solutions. E-procurement and accounts payable auto-matching solutions are available that integrate suppliers and simplify the back-office scenario. These systems can dramatically enhance collective buying power, improve operations and lower costs. With a high-speed Internet connection, an e-procurement and XS INFOSOL tailored to the needs of the hotel industry can be accessed. Then, with a few keystrokes and the click of a mouse, hotel properties can streamline purchasing, inventory, food-cost management and accounts-payable functions across a host of geographic regions and properties. XS INFOSOL no longer need be tied to individual properties. the XS INFOSOL for an entire portfolio of hotels can be efficiently and cost-effectively processed in a central location taking advantage of economies of scale - or even off-shore, to take advantage of lower labor costs. With back-office bandwidth in place, the right XS INFOSOL can strip a lot of the cost from the system.